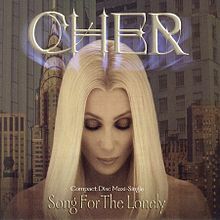 I could play Cher’s music all day, unlike many of my friends—and I’m not ashamed to admit it! Here are my picks for her best ten songs ever. Not only does the beat of the song rock, the chorus is just amazing: “If you can give it, I can take it; ‘Cause if this heart is gonna break it’s gonna take a lot to break it…” And the way she sings “Come on” over and over again is just goose bump-inducing.